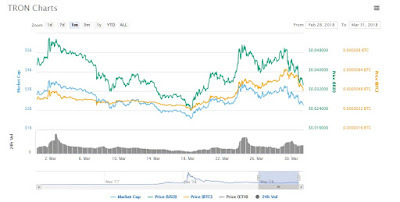 The month of March is ending with a bang for the cryptocurrency sector, but not in a good way as the digital currencies in general had many more losers than it had winners. Ever since the sector of over 1400 different cryptos reached a market cap of nearly $750 billion back in December of 2017, the overall market has lost close to 70% of its value, with future prospects also not looking great for the alternative asset. And here on March 31 we can now take a look at the winners and losers in the cryptocurrency sector for the month. Ethereum has been absolutely crushed in March, starting the month trading around $860 and losing over 50% by the end of it. 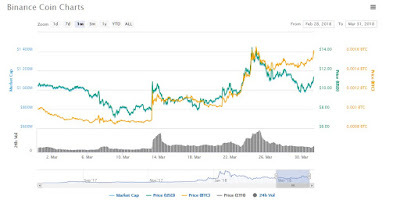 Ripple has also taken a heavy beating in March with XRP falling 45% from $0.95 to $0.52 over the past 31 days. Bitcoin Cash has been bashed as the top four have all lost ground. On March 1st BCH was trading at around $1,250, since then it has lost 42% to around $725 where it currently trades. Litecoin has also taken a huge hit, last month it was one of the best performing altcoins, this month one of the worse. LTC has fallen from around $205 to $124 in March representing a drop of almost 40%. 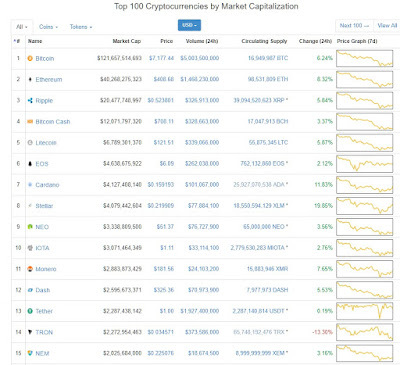 EOS, while moving up a few spots in the market cap charts, has also fallen. Trading at the beginning of the month around $8.40 it ended closer to $6 marking a drop of roughly 28%. Cardano has been one of the top ten’s biggest losers as it was last month with an over 50% drop from $0.30 to $0.15 at the end of the month. 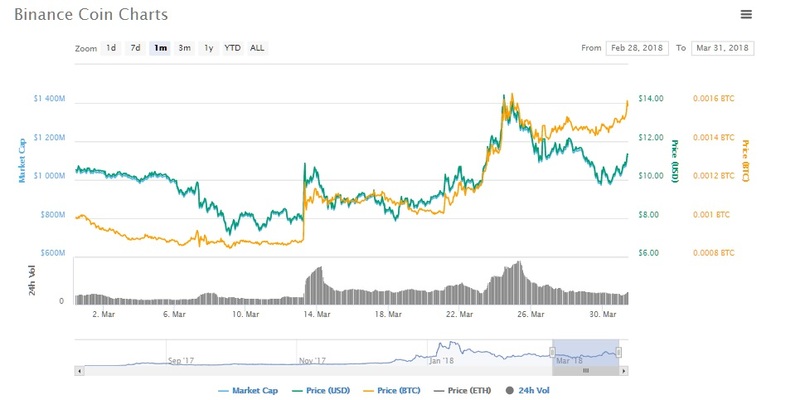 Neo had a reasonable February but a terrible March, falling massively from $130 to $52, almost 60%. 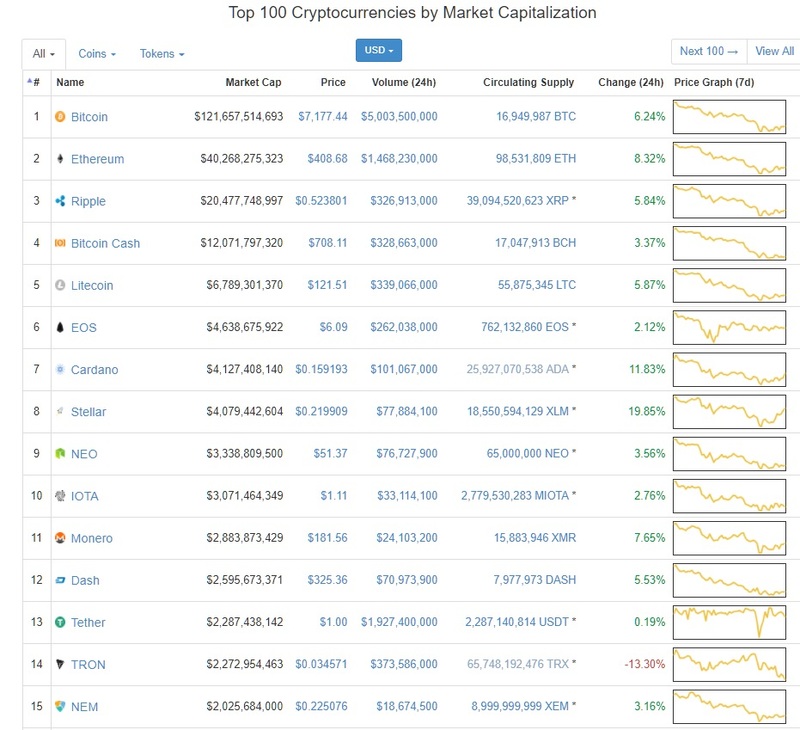 The last altcoin in the top ten has also fallen heavily in March. Iota has lost around 41% sliding from $1.95 on March 1st to $1.14 at the end of the month.